2016 Northridge Scholars. Photo by Luis Garcia. CSUN President Dianne F. Harrison welcomes the Northridge Scholars. Photo by Luis Garcia. 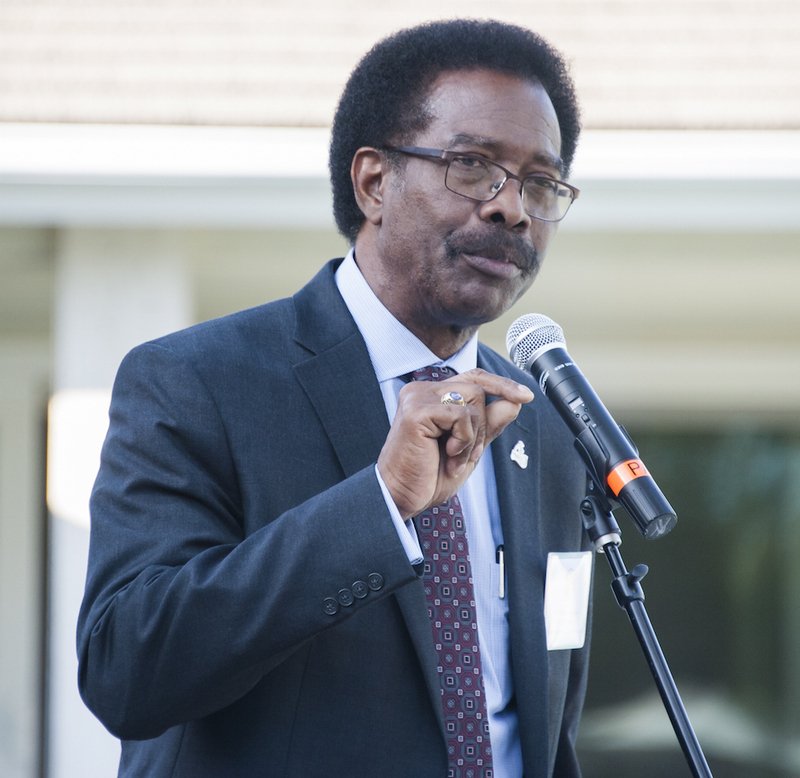 CSUN Vice President of Student Affairs and Dean of Students William Watkins congratulates students. Photo by Luis Garcia. 2016 University Scholars. Photo by Luis Garcia. 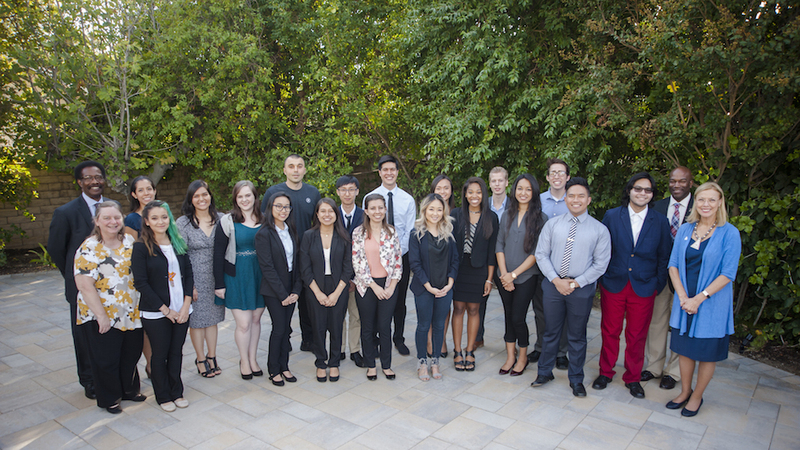 2016 CSUN Presidential Scholars. Photo by Luis Garcia. President Harrison congratulates Bhernard Tila, one of the University Scholars. Photo by Luis Garcia. Commitment to scholarship, excellence, innovation and experimentation are among California State University, Northridge’s five values. CSUN celebrated the living embodiment of those values by honoring 20 outstanding students at the Oct. 3 Northridge Scholars Reception. 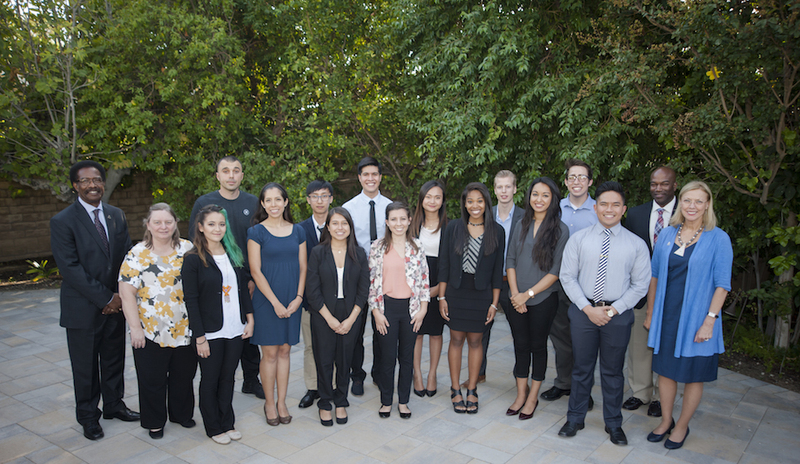 The students are participants of the Northridge Scholars Program, a merit-based scholarship program that includes both the University Scholarship and the Presidential Scholarship. More than 200 undergraduate students apply for the University Scholarship each year. 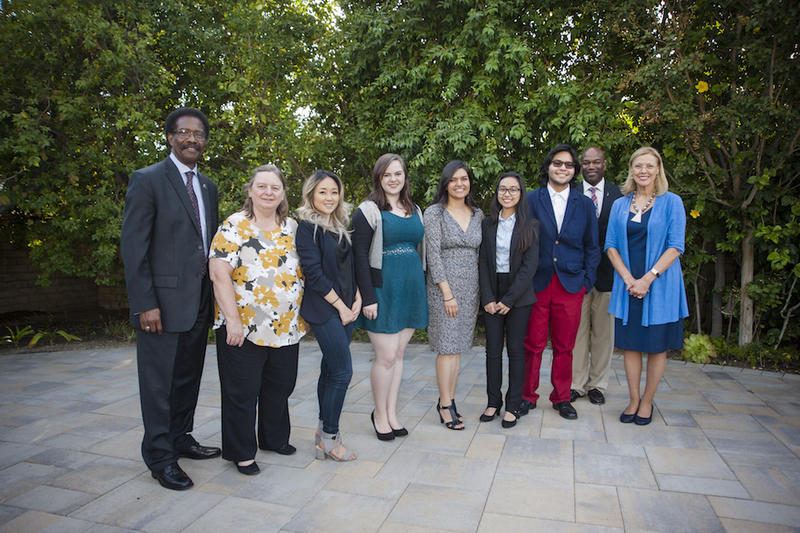 This year’s cohort includes 14 University Scholars, each of whom were awarded $7,500, and seven Presidential Scholars, who were awarded $10,000 to support the students’ yearlong research projects. 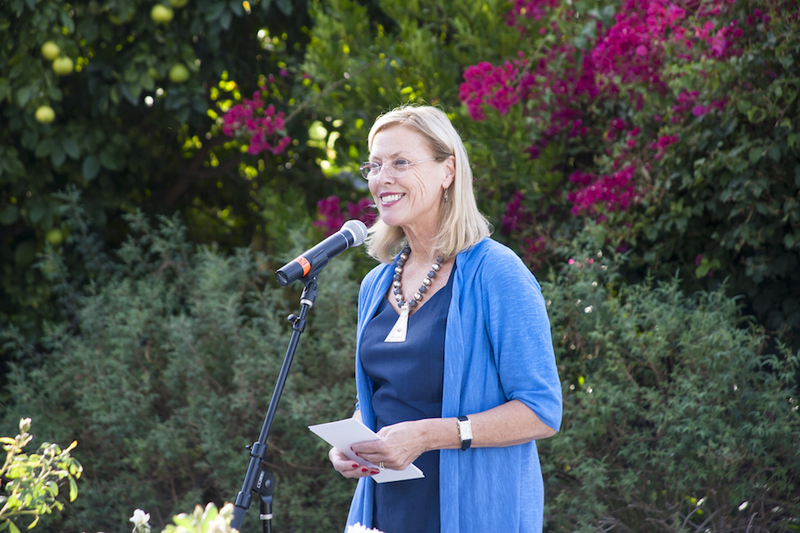 CSUN President Dianne F. Harrison, deans and faculty mentors welcomed the high-achieving students. Graduating senior and biology major Sa La Kim, a second-time Presidential Scholar and a MARC U-STAR (Minority Access to Research Careers Undergrad Science Training and Academic Research) student, has been studying the properties and role of integrin alpha 1, which is a cell surface receptor for collagen that is highly expressed in pancreatic cancer — one of the deadliest and hard-to-treat diseases. She said the financial support has given her an opportunity to develop important research as an undergraduate — an opportunity not necessarily available at other universities. Senior Bhernard Tila, an Asian American Studies and Public Health double major, was awarded a University Scholarship. He said he chose his majors in part because of his mother’s recent battle with kidney failure and myeloma. Tila plans to obtain a graduate degree in public health, become a nurse and one day establish his own clinic to serve immigrant and low-income families. Tila said the scholarship is important because financial support for his education is hard to secure as an undocumented student. Tila also said being recognized by the university is a very encouraging experience. The Northridge Scholarship Program awarded its first scholarships in 2005. The Presidential Scholarships are funded by generous donations from the Associated Students, the Bayramian Family Scholarship Endowment, the Blenda Wilson Scholarship, the Diane Ryan Scholarship Endowment and the Medtronic Minimed Endowment. The University Scholarship is funded by the Bayramian Family Scholarship Endowment.